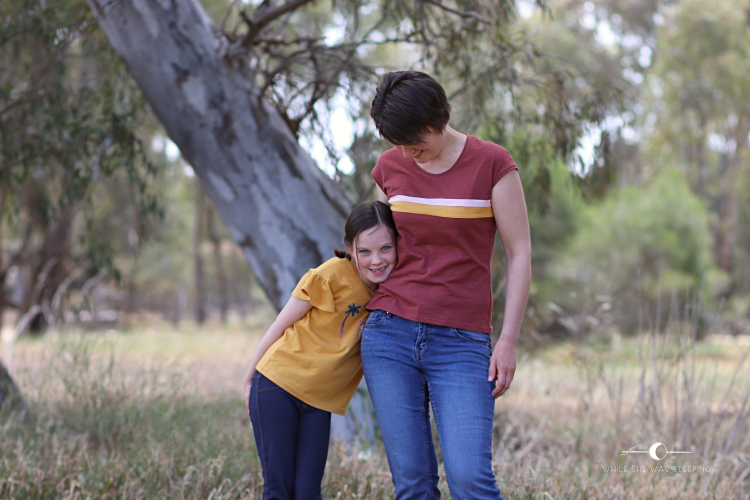 It is not often that my girlies and I appear on the blog together, but here I am with my big love participating in the Lana top and dress tour today. This is the latest release from Coffee and Thread. 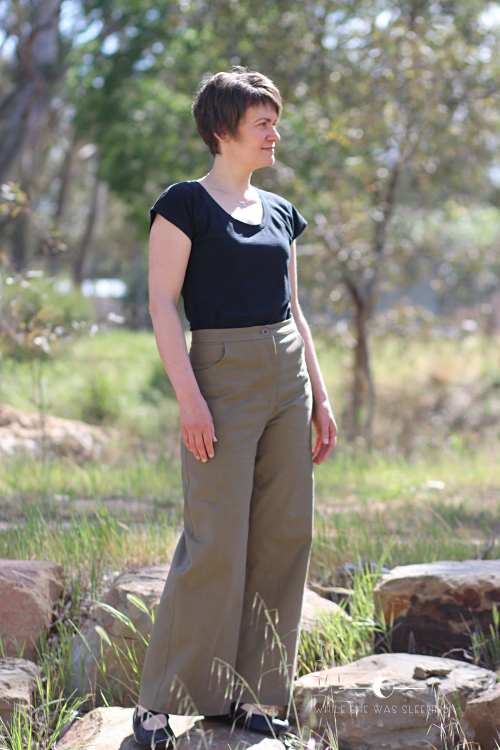 The minute I saw the Wide Leg Pants, a free pattern created by Emily from In the Folds for Peppermint magazine, I knew I wanted to sew a pair for myself. However I have heard that fitting pants could be a nerve wrecking exercise, so I decided to wait until my nervous system was ready for a shake up. Today is the first of the month, which means a new theme for a Sewpony sewlong is revealed! 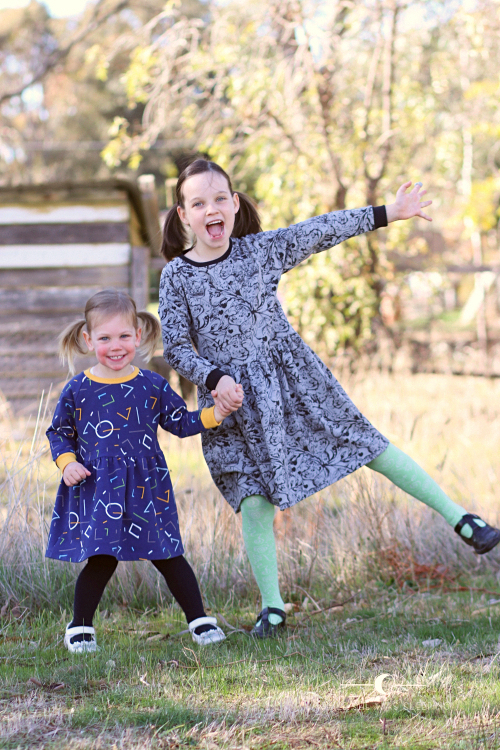 The month of October is all about sewing with stretchy fabrics. 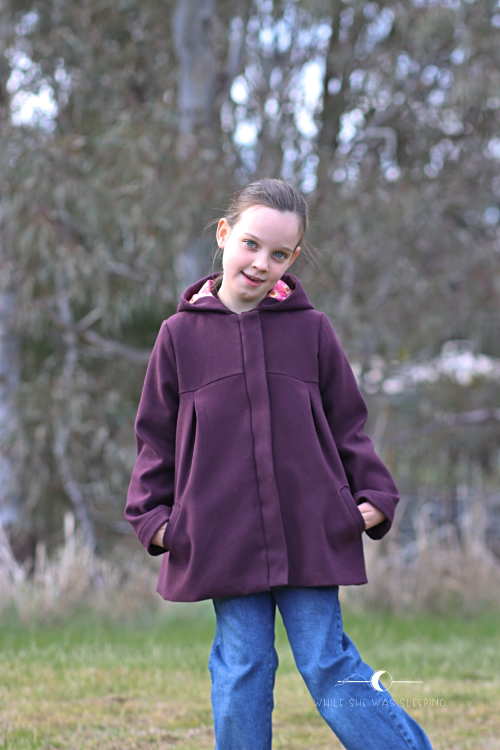 Sewpony has a number of patterns specifically designed for knits, like Cosi swimsuit, Catherine cardigan and Issie top (available for girls and women). 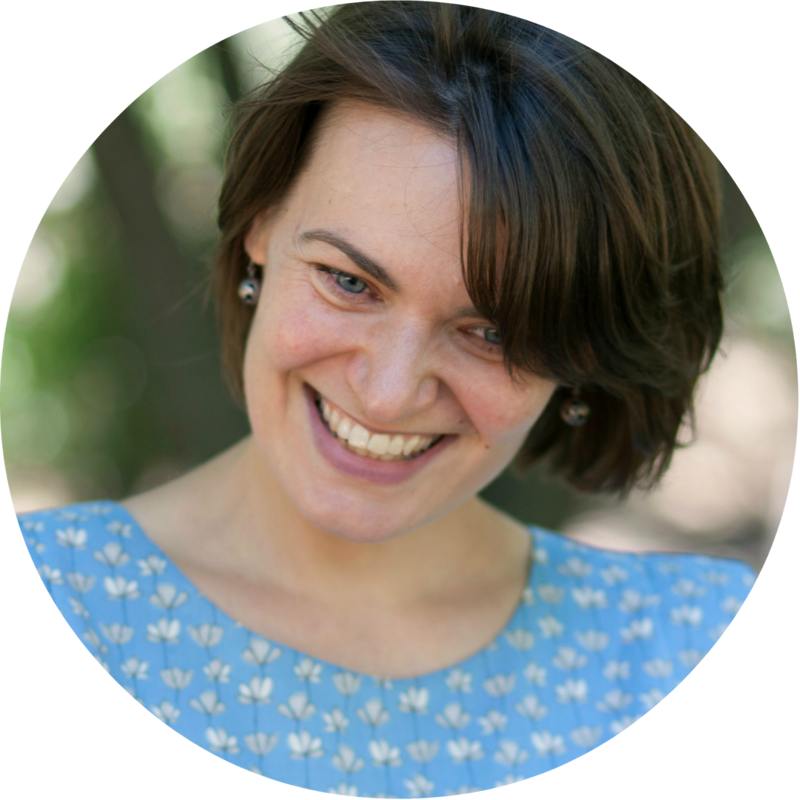 But I know that the Finch dress works for knits also. I made a test version in a knit fabric to see if it would work, and it did. 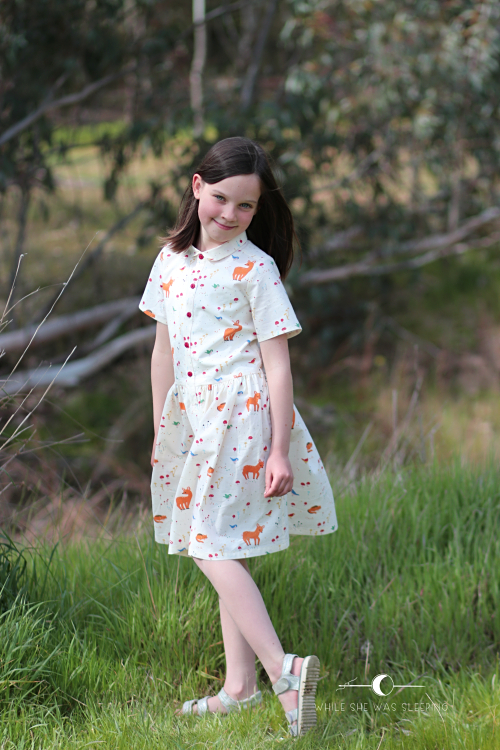 Now it is getting warmer on my side of the globe I decided to make a short sleeved Finch for my little love. Miss R loves animals. She wants to be a vet or a zoo keeper when she grows up. Last time we went to the zoo she quizzed a couple of keepers about their job and how to become a zoo keeper! She reads any book about animals she can find again and again. She enjoys watching documentaries about nature and animals. 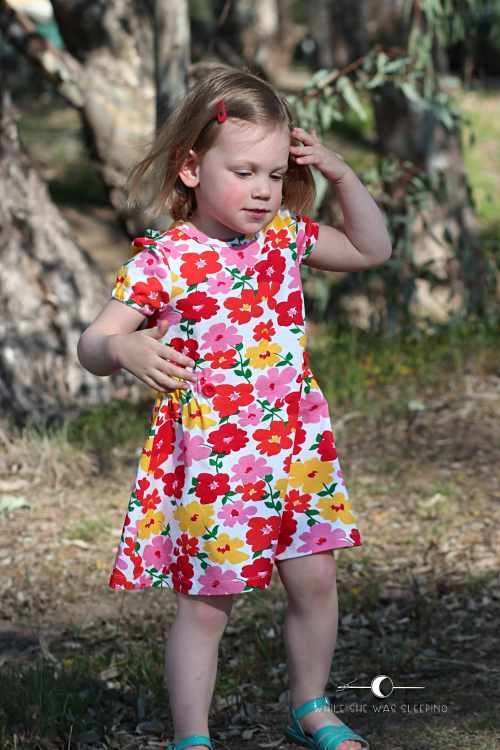 It did not come as a surprise when Miss R chose Sunny Forest print for her new dress. This is one of the prints from the new line of organic fabrics from Birch, the Whistle collection by Jenny Ronen. These prints are available in woven and knit. I didn't expect that my last three winter makes would go so well together! 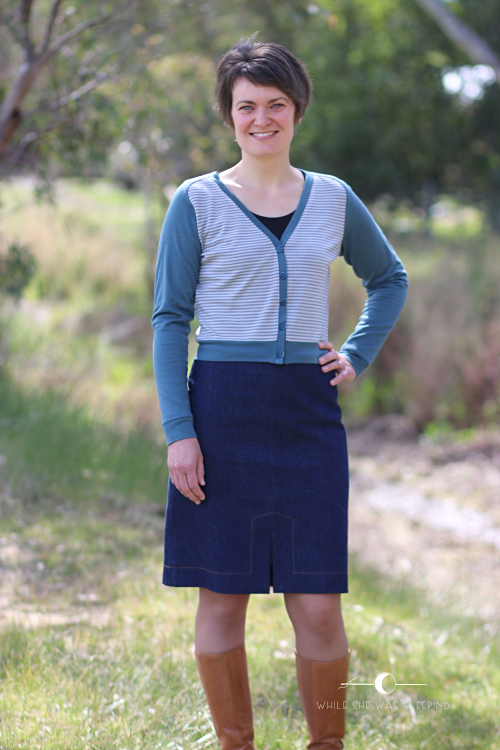 The patterns are the Adrienne skirt from Style Arc, the Juniper cardigan from Jennifer Lauren Handmade, and the Idyllwild tee from Itch to Stitch. Hi. I am Jenya. I used to be scared of spiders and small bust adjustment. 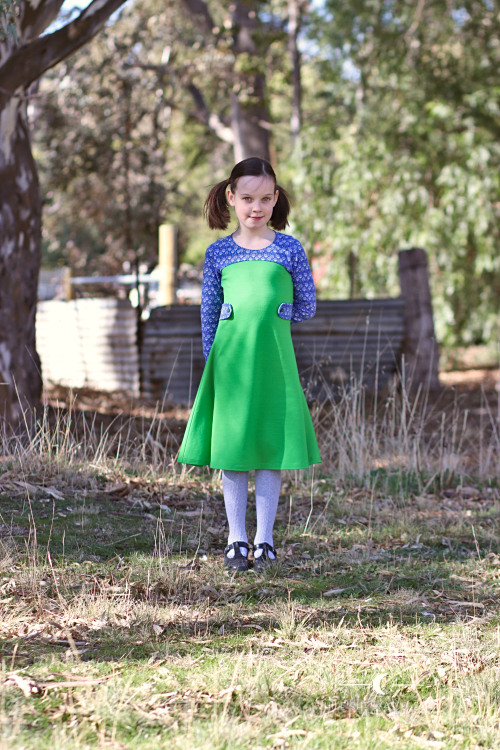 Until I got obsessed with the Ivy pinafore from Jennifer Lauren Handmade. Why must winter be so cold and dark! Obviously this is not something I can change. However I can make bright warm clothes to help us deal with winter better. I can, and I did. 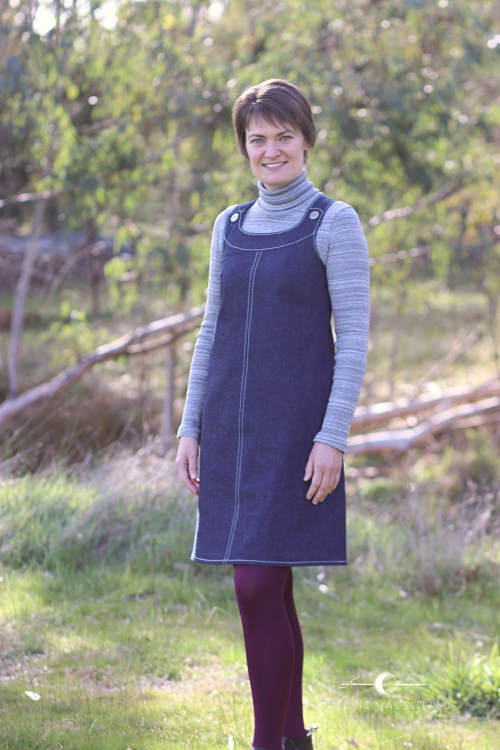 This is the Nivalis dress and tunic pattern from Sofilantjes*. I made a summer version of this dress nearly two years ago and have been planning to make another one 'soon' ever since. Brace yourselves for more twinning sisters style! Ok, the remark that their dresses are not identical is absolutely legitimate, but still, I used the same pattern for both of them, so my girlies are still twinning? Sort of? Kind of? Yeah? 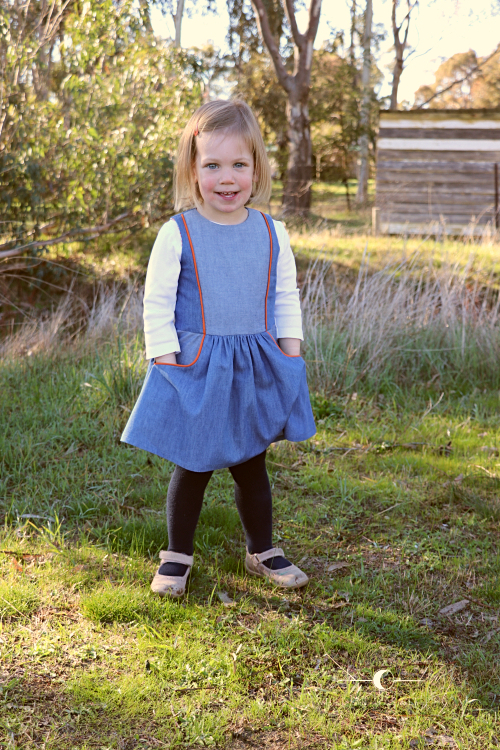 How many denim dresses can one little girl have, one might ask. At least one more, Miss L and I would reply.